Born in Réunion Island, Jean-Christophe Dijoux discovered the sounds of classical instruments during his piano studies at the Conservatoire National Supérieur in Paris. After studying harpsichord and thorough bass with Françoise Marmin and Frédéric Michel, he graduated with distinction in the harpsichord classes of Robert Hill and Michael Behringer at the Hochschule für Musik of Freiburg. Subsequently, he completed his basso continuo degree with distinction in the class of Jörg-Andreas Bötticher at the Schola Cantorum Basiliensis. He also took improvisation lessons with Nicola Cumer and Markus Schwenkreis, and received guidance from Marieke Spaans, Aline Zylberajch and Françoise Lengellé. Jean-Christophe was the harpsichordist of the Orchestre Francais des Jeunes 2010 and of the European Union Baroque Orchestra 2012. He is laureate of several competitions: Viseu and Porto International Competitions (Portugal), F.L.A.M.E. International Competition (France), Telemann International Competition (Germany, Bärenreiter-Urtext Prize and special prize for the best continuo realization). In 2014 he was awarded the 1st prize at the 19th International Bach Competition in Leipzig. In 2015, the ensemble "Alter Klang", co-founded with the flute player Anne Freitag, won 1st prize at both chamber music competitions of L'Aquila and San Ginesio (Italy). 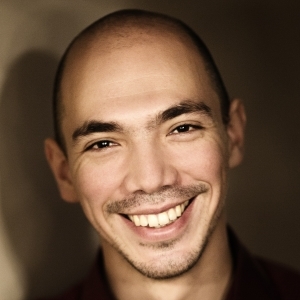 Jean-Christophe has performed as soloist or as part of ensembles at the Bachfest Leipzig, Telemann-Festtage (Germany), Friedenauer Kammerkonzerte (Germany), Festival International de Musique de Lamèque (Canada), and Jesus College Musical Series (UK) among others. He was invited to perform at the national French radio (Radio France) and the WDR (Cologne). Recent engagements included concerts with Bach Collegium Japan under Masaaki Suzuki and a recital at the Klavier-Festival Ruhr. Jean-Christophe is also interested in contemporary music and he performs with the Ensemble 2e2m. His research works include lectures about opera and its social context at the Paris Institut for Political Studies (Sciences Po) and a master's dissertation on the partimento dimension of Mattheson's Grosse Generalbaß-Schule. His first solo CD "Varietas" was released on Genuin Classics in 2016 to immediate critical praise.